send us a message explaining your request and providing your mailing address. A few years ago, while serving the Lord on the mission field, I received the joyous news that one of my beloved family members was going to be married. Then, to my pleasant surprise, I was asked to return home for a short visit so that I could officiate the wedding. After accepting the invitation, I realized the great responsibility I was undertaking by helping to establish a new home that would glorify God. So with a pastor’s commitment to God’s Word, and a family member’s love, I began to search the Scriptures for the clearest example of Biblical matrimony this young couple could learn from and follow. My goal was to provide a solid foundation for their relationship before the wedding so that they would be prepared for the life God had for them. It was through that search that God led me back to the beginning--the beginning of man and woman, the beginning of marriage. For “In the beginning ... God created man in his own image ... and ...made he a woman, and brought her unto the man” (Genesis 1:1, 27, 2:22). 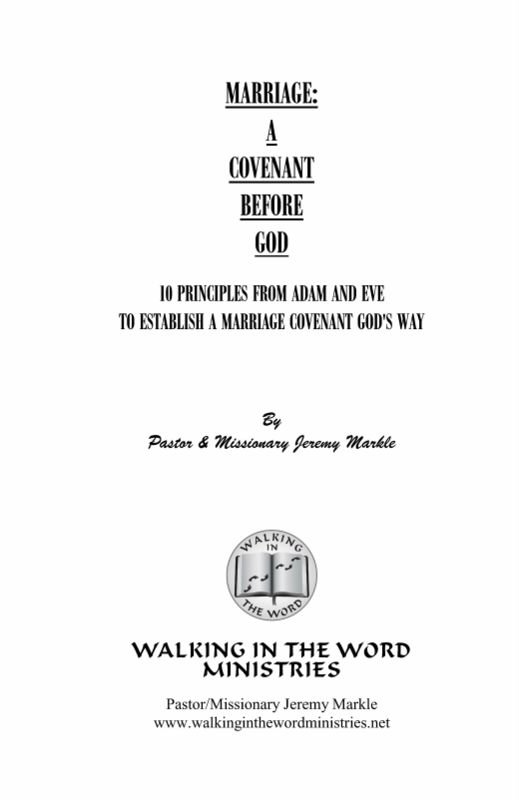 What I am now privileged to share with you is what I lovingly shared with those who are dear to me as they prepared to enter into a marriage covenant before God and man. 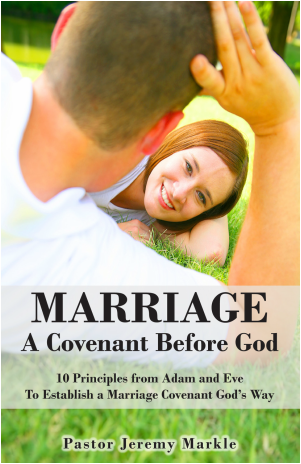 These biblical truths are accompanied by practical illustrations and applications so that you and your loved one might grow in your knowledge of each other and God’s will for your future together. 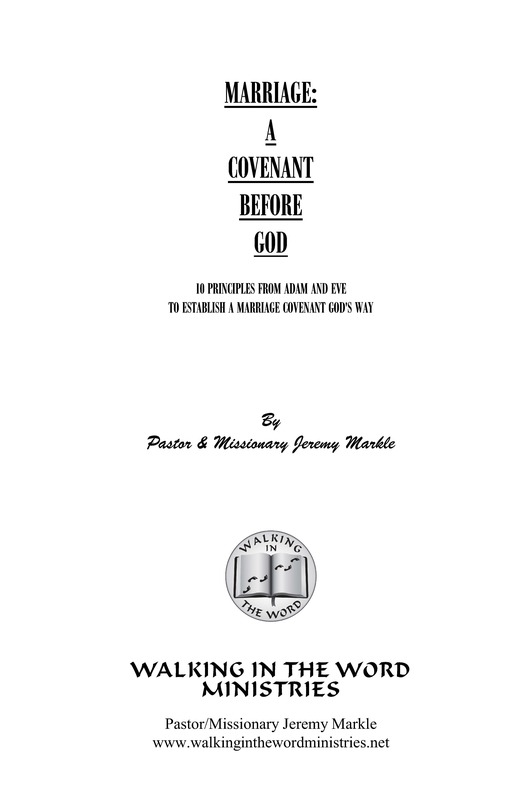 My prayer is that these studies and the additional material given will provide a solid foundation on which you can build a marriage and family that will be both personally satisfying as well as God-honoring until death do you part. Click on the image bellow to see a selection from the book in PDF format.